People don’t know this, but I’m not the only writer in my family. My husband (whom I met in a college English class) wrote this poem for me for Mother’s Day. If it’s not funny to you, that’s okay. He’s an acquired taste. But I laughed so hard I cried–real tears rolling down my cheeks. Who doesn’t want to be called a leprechaun on Mother’s Day? And without mothers, there would be no you. Without mothers, there would be no you. Who’s ready for some honesty? I think some people have the wrong idea about living the author dream. Why? Because we authors are tight-lipped about our failures. Based on my twitter feed, all my author friends only get good news. Movie deals! Blurbs from J.K. Rowling! Round-the-world tours with packed audiences at every stop! (Also the look I give my kids when they ask to go to Chuck E. Cheese.) Don’t get me wrong, I put my good news out there too. After all, I want people to read my books, not think I’m a whining, self-pitying ingrate—I save that side of me for the people I live with! Lucky them. But I sometimes wonder if we authors aren’t all feeling a little loser-ish about the same completely normal parts of this business. Don’t we all have holes in our jeans? Or in our yoga pants? So. Here are some real numbers. No whining. No self-pitying. Just some midlist honesty in all its unsung glory. 5: Number of times people have asked me how much I make. 5: Number of times I have politely declined to answer that question. 0: Number of times people have asked my husband how much he makes. 10: Number of agents I queried on my first batch of send outs. All rejections. 3: Number of times we’ve talked on the phone. A zillion: Number of emails between us. 1: Number of professional reviews I’ve cried over. 1: Number of non-professional reviews I’ve cried over. At least 10: Number of bad reviews I’ve genuinely laughed over. At least 4: Number of author events I’ve done where crickets chirped and there were fewer guests than bookstore employees. 3: Number of half-novels I’ve written and abandoned in the last 12 months. That’s a lot of words, folks. 3: Number of picture book manuscripts I have in a drawer that I think aren’t too bad. 40,000: Number of words from 1st draft of The Space Between Us I threw into the trash (laughing with a hysterical gleam in my eye, maybe crying a little) before starting all over again. 10: Number of years between envisioning the prologue of Virtuosity and publication. 0: Number of times I read any of my books after the last edit. I barely even remember what Virtuosity is about. Violin or something. 1: Number of times I’ve visited “publishing” in New York City. 1: Number of laptops I wrote all four books on. 1: Number of royalty checks I’ve received. 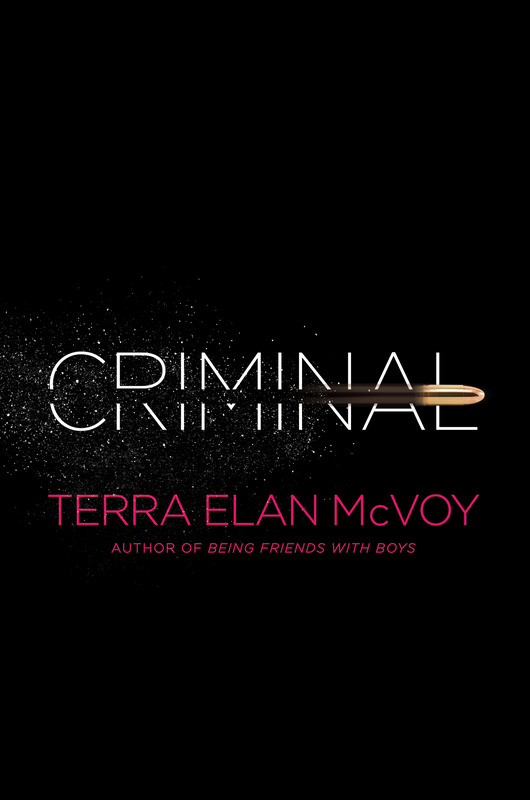 Terra Elan McVoy’s Criminal, Out in Paperback! It was this thought that motivated me to start writing Criminal. In 2011, I heard about a murder case in which a young man was accused of killing one of his girlfriend’s parents, out in broad day. When I discovered he had an accomplice—another young woman with whom he’d also been romantically involved—I was even more intrigued. “Who would do such a thing? And why?” Of course I was thinking of the shooter, but really I was most perplexed by the second girlfriend—the one who allegedly helped him do it. Who was she? Why did she go along with it? Did she know about his other girlfriend? And what happened to her after the fact? Reading helps us to imagine things we haven’t experienced on our own, and to, ultimately, empathize with our fellow humans. 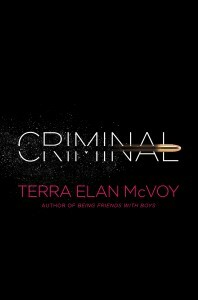 In writing Criminal, I aimed to explain to myself—and to therefore understand—what it would be like to be a girl very different from me and most of the characters in my other books: someone without resources, without confidence, without an education or good family, and often without hope—so much so that she’d participate in such a horrible crime. The result of my imaginings (and my research) is in this book. I didn’t write it to justify, or excuse, any kind of criminal behavior in the slightest. Instead I hope that in doing so, my readers and I can get closer to understanding that people who make terrible choices like this are more than just the results of their crimes.